Make your own Sun Dried Tomato Hummus from Scratch for a healthy creamy dreamy snack! I love snacking. I would so much rather eat a ton of delicious appetizers all night than one big meal. Committing to a whole plate / dish is just way too limiting, am I right? 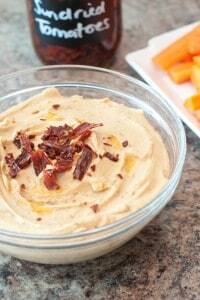 Which is why I love snacks from scratch, especially ones like this hummus. I could eat hummus every day with any kind of raw vegetable, cracker, chip, or baguette slice you throw at me. Even better, there are so many varieties of hummus! 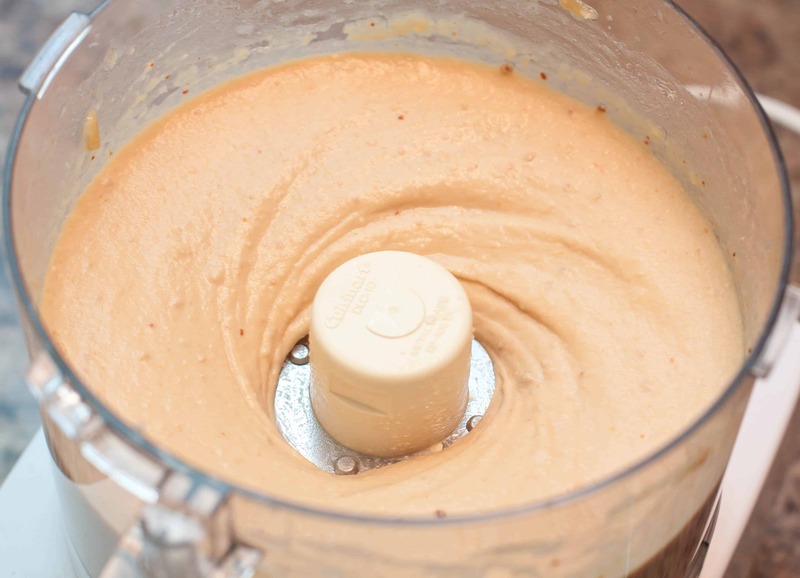 And once we started making our own Tahini from scratch, it’s just taken our hummus to the next level. 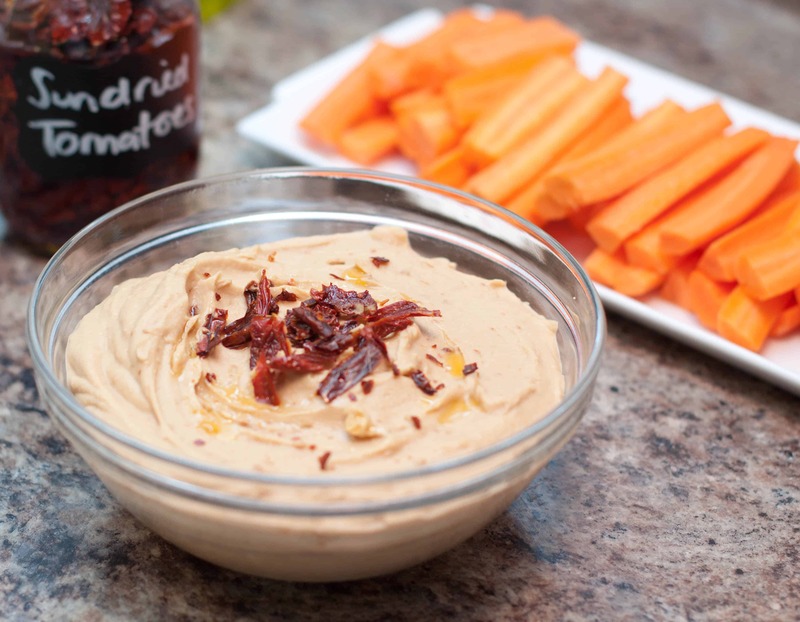 This hummus though, no tahini required. Why? Because I didn’t have any made. 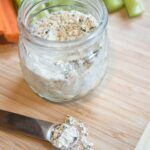 Or any sesame seeds to make some because making tahini is soooo fast and easy! So I used sesame oil instead, which was just as delicious. That with plenty of garlic and some of our home grown sun dried tomatoes from scratch and with or without tahini, we had ourselves hummus. Also, I find to get the creamiest of creamy hummus, using the all-knowing Alton Brown’s method of slow cooking the chickpeas, is the best. We brought this uber creamy, delicious, from scratch hummus to a lovely leisurely Saturday afternoon lunch with our favorite vegans. It made a delicious appetizers with some fresh carrots and homemade baguette slices. 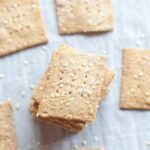 It would also be super tasty with some vegan friendly spelt crackers! Or for the future non-vegan football parties in your life, serve them with some From Scratch Ritz Crackers, Pita Chips, or tortilla chips! Like this post and others? Don’t forget to follow me on Facebook and Instagram to see my favorite football snacks from scratch this season and Pinterest to see where I pin all my future Must Makes! 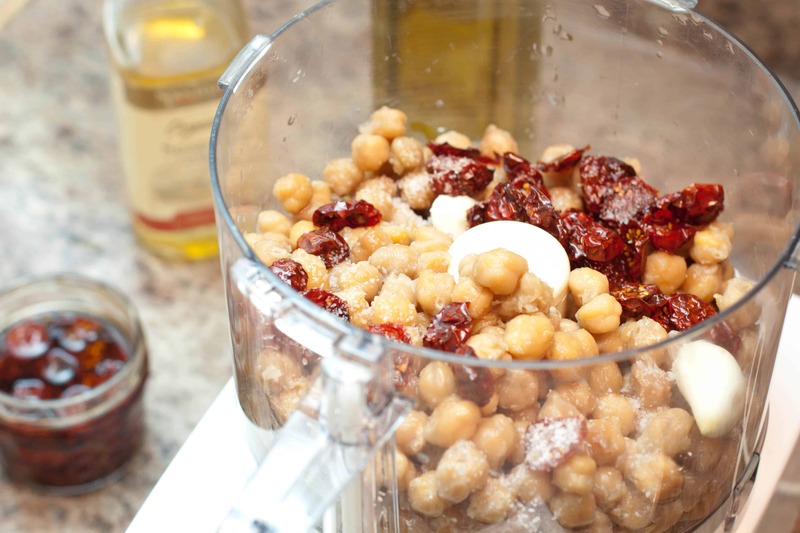 Add all ingredients except oil and sun dried tomatoes for garnish to food processor and blend. While blending, slowly add the oil. 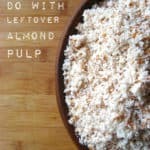 Blend until creamy, stopping once to scrape down sides. Serve with raw veggies, crackers, or chips! I could eat hummus everyday too! Yours looks so smooth and creamy. I am a hummus fanatic! Love this combo!! Looks beautiful and delicious! Yep! This is going to be on the menu for the Super Bowl. I really don’t care about the game — I just love the snacks. Thank you for sharing. 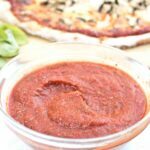 Such a great idea to add sundered tomatoes! I can almost taste it 🙂 Saved to try it! I can’t believe how smooth and creamy this looks! 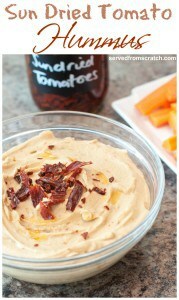 I adore sun-dried tomatoes, must try this. Hummus = awesome. Sun dried tomatoes = awesome. Combine them? Love this! Super snack! 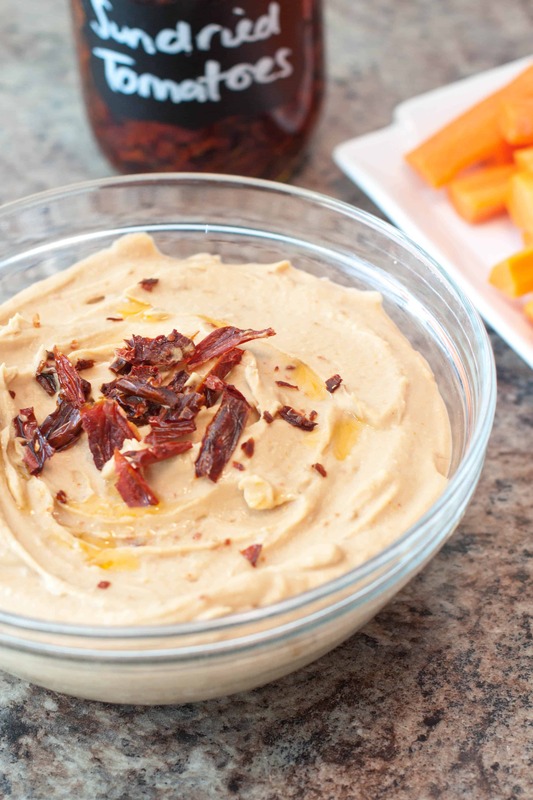 Who doesn’t love a good variation of hummus? Sun-dried tomatoes yummm. Yummy! I love how you make every element of your dish from scratch! We are like minded. I made our own dried tomatoes this year from our garden. They are amazing! I can’t wait to try out this hummus recipe with them!